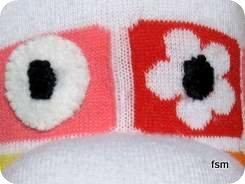 Women's and men's toe socks. Injinji socks provide Eco performance, outdoor and graduated over the calf compression socks. If you are looking for comfortable, healthy for your feet socks, free your toes with five toe socks. 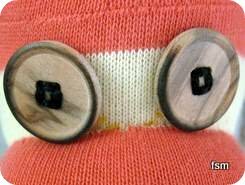 More importantly free your five toed socks and make a fun sock creature. Injinji socks come in different sock textures which include Coolmax and Merino wool. 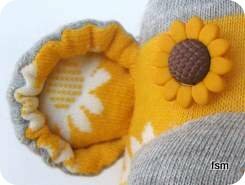 Super soft and snuggly for your feet or a sock critter. Injinji split toe footwear is fun, whether you're trail running, hiking, walking, cycling, into adventure sports, or another form of athletic sport or maybe you just want to wear flip flops, they will provide you with happy separated toes. What could be more fun than wearing five toe socks? Having a matching sock creature of course. With moisture wicking socks for both men and women, socks come in a range of colors including black, sand, white, blue, forest, gray and rainbow striped. Rainbow striped socks are just calling out to be made into a sock toy. 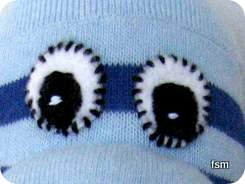 The sock monkey pattern is really easy to follow, easy to adjust to if you want to go rouge and make your own design of sock animal or absolutely unique sock creation. 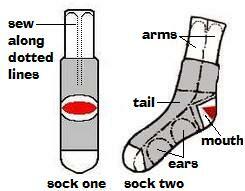 Toed socks really give you a fun opportunity to go a little crazy by utilizing those five toe sections. 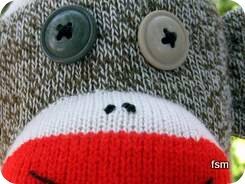 Both the vintage and modern sock monkey patterns are available on our pattern page and you'll also find the sock elephant pattern there too. 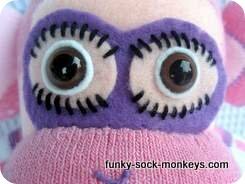 If you really are into your sock toys and want more patterns, I'd definitely recommend grabbing a sock. 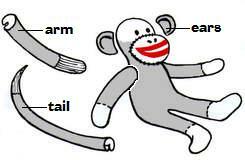 If you are looking for more ideas or patterns for different sock animals, you might want to look at the different pattern books available, I have got "How to Make the Original Red Heel Sock Monkey and other toys". I really like this book but there are many others available if something else takes your fancy. Fox River have a fun updated sock monkey book which looks really good too. You can't go wrong with your choice. 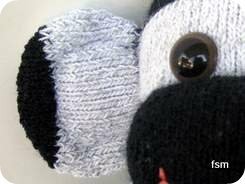 Monkey making is all about relaxing, going with the flow and enjoying the process of making a pair of socks come alive with some cutting, stitching and stuffing. 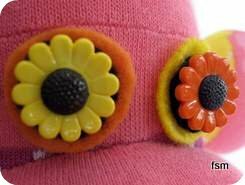 What you end up with is an individual pal that is unique because YOU made it.